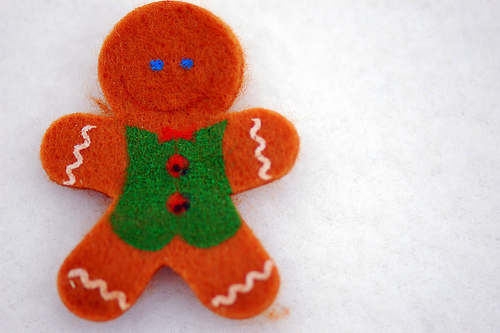 ‘Tis the season for making joyous holiday decorations, and Hampshire House invites you and your family to get creative at the annual Gingerbread Brunch. This fun event takes place at our historic mansion on Beacon Hill, and tickets include a delicious brunch from our fine menu. Each person attending the brunch receives everything needed to design and build a unique gingerbread house. Brunches are held each Sunday in December, (the 3rd, 10th, 17th) before the Christmas holiday. Two brunches are held on the same day (11:00 AM and 1:30 PM), making it easier to carve time out of your busy schedule to relax and enjoy working on a seasonal craft project with loved ones. For more information, please check our special events section for announcements. Children are always excited to go to an event where they get to eat and participate in an art project. At Hampshire House, kids get their own Gingerbread Brunch menu that includes kid-friendly selections of familiar comfort food. They can enjoy breakfast favorites such as eggs, toast, and sausage. Or, perhaps they’d prefer chicken fingers with a side of home fries. Whatever they choose, they can wash it all down with a glass of fresh-squeezed orange juice, cranberry juice, or pink grapefruit juice. The adult menu is quite extensive and features numerous appetizer and entrée options. Indulge in servings of cinnamon brioche French toast with a raspberry cream cheese stuffing, drizzled with warm maple syrup. Or select Belgian waffles topped with fresh fruit, a dollop of whipped cream, and drizzled syrup. Eggs Benedict is a brunch winner, and the classic omelet with cheddar cheese, ham, peppers, and onions is always a brunch favorite. These are just a few of the entrees you can enjoy along with fresh bagels, muffins, salad fixings, and your choice of coffee or tea. All gingerbread houses start from a place of inspiration, and your design starts with a spark of an idea. Inspiration can come from anywhere, including books, movies, and magazines. Use your own home, or someone else’s home you admire as a blueprint. Strolling through the historic Beacon Hill area is also a great way to form a basic design plan. Sometimes ‘winging it’ is the best plan of all, and you’ll have a wonderful time creating each part of your house as you build it. There’s no right or wrong way to create a gingerbread house. There’s just your way, and as the main designer, you can be as creative as you wish. Every gingerbread home builder needs the proper tools of the trade, and at the brunch, you’ll receive a plain pre-baked gingerbread house to decorate. Additionally, you’ll have access to plenty of sweet decorating supplies. Each table is supplied with a generous amount of white icing to use as bonding material and as a decorative accent. Choose an array of candies in various shapes, sizes, and colors, and go to town gluing them onto your house using the supplied icing. As you work with your candy materials, you may decide to eat a few pieces here and there, and that’s fine. This is a tantalizing task, and all materials are edible, so eating a candy cane or gumdrop is A-OK.
Thanksgiving is a time to come together with cherished family and friends to celebrate everything you’re thankful for in life. 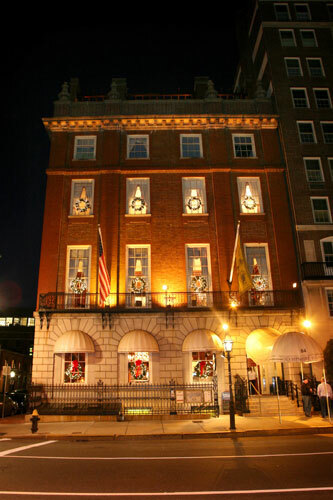 There is no better place to partake in traditional Thanksgiving favorites than the venerable Hampshire House. Located in Boston’s historic Beacon Hill neighborhood, Hampshire House has a warm, welcoming environment that every Thanksgiving table should have. Sharing a great meal with loved ones is a tradition you look forward to, and Hampshire House is all about preserving all things timeless. Guests are treated to a beautifully prepared Thanksgiving meal. Start things off right with pumpkin martinis, a delightfully savory harvest pumpkin bisque, and the crisp freshness of an autumn salad. You have a choice of three exquisite entrees, and the traditional oven-roasted turkey is one of the star attractions. This holiday favorite comes to your dining table with a walnut stuffing, which is marvelous when combined with authentic giblet gravy. Feel free to request extra gravy for your table to ensure there’s plenty to go around for gravy lovers. Your turkey dinner comes with traditional sides such as mashed potatoes, pureed butternut squash, and julienned vegetables. Diners in your party who prefer fish or beef can order the char-grilled Atlantic Salmon dinner, or the filet mignon dinner. Both dinners come with tasty sides that complement the chosen entrée. The Thanksgiving dessert sampler is sure to tickle your palette. Enjoy pumpkin pie and pecan triangles, petit cinnamon cheese cake, and a fall-inspired cranberry apple miniature tart. After this filling meal, you may be ready to take a stroll through the always lovely Boston Public Gardens, which is within easy walking distance of Hampshire House. Here at Hampshire House, we realize that some guests have certain dietary needs, and our staff is more than happy to make the necessary adjustments. While placing your order, inform the server about any guest food allergies to foods such as shellfish and nuts. If someone requires gluten-free dishes, let us know. Chefs and waitstaff work in tandem to ensure each plate of food served to your dining party is equally enjoyable for everyone. From the moment you arrive at our door to the moment you leave, you are treated as honored guests by Hampshire House staff. Your dining party is seated promptly and the waitstaff is always available to take care of your requests. Everything is done to ensure your Thanksgiving holiday meal is exactly what you expect to experience in a fine dining setting. All you need do is relax, chat, eat, and enjoy the moment. We’ll take care of serving the meal and clean up. The Beacon Hill neighborhood is filled to the brim with historic significance. This neighborhood features beautifully preserved buildings, and one of them is the Hampshire House, a local treasure built in 1910. For over 100 years, this building has been the scene of many celebratory occasions, including holidays, and everyone who comes here to enjoy a wonderful dining experience is included in that long-standing tradition. While the exterior of the building is impressive, the interior is more so. Enjoy your meal in an atmosphere of sophisticated elegance that is timeless in its appeal. Thanksgiving dinner is served on Thursday, November 23, 2017 from 12:30 a.m. to 4:30 p.m. Reserve your table today.